J-racks for slatwall with open sides. 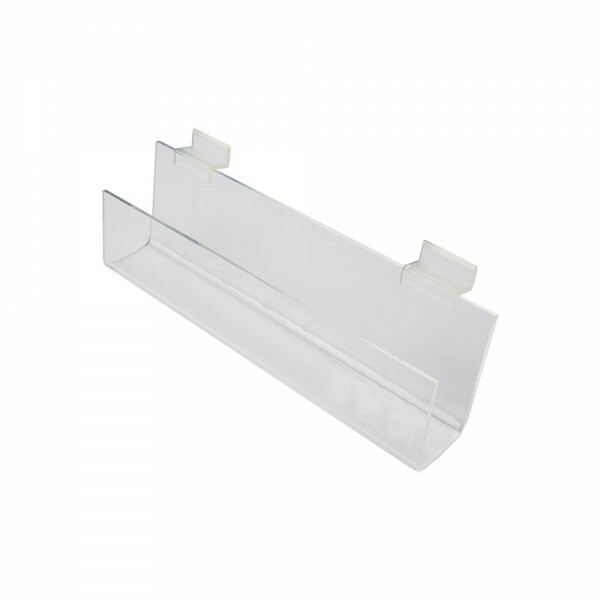 A clear acrylic j-rack for slatwall. The sides of this fixture are open to allow for overflow of merchandise. Perfect for books, magazines, and other literature.